There is a music video for Feels Good to Me. An alternate version of Jerusalem appears on Tony Martin’s 1992 solo album, Back Where I Belong. 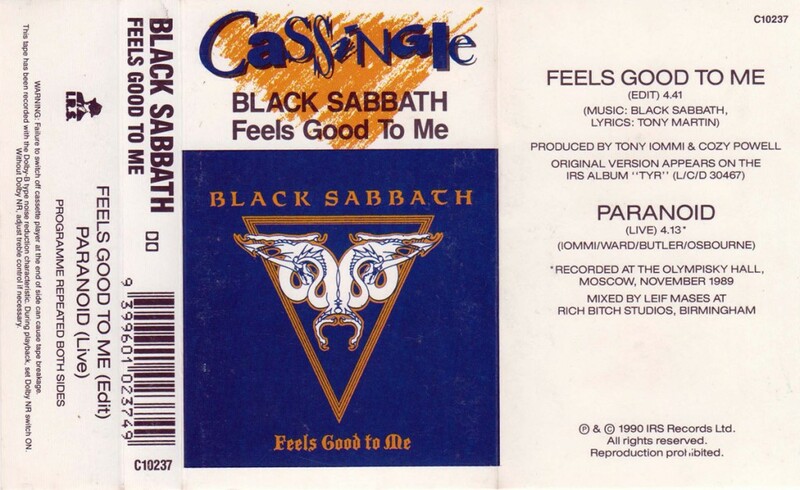 The CD single for Feels Good to Me (Edit) has live versions of Heaven & Hell and Paranoid from Moscow Nov 1989. The first line of Anno Mundi has a latin vocal that goes “Spiritus Sanctus Anno Anno Mundi”. Anno Mundi translated means “Year of the World”, and Spiritus Sanctus means “Holy Spirit”. This album might have been featured in the videogame Granstream Saga on the Sony Playstation. The videogame said that the Valhalla’s sword is the sword of ice and the song Valhalla from Tyr said, “When the winds of Valhalla run cold”. As of July 1999, it appears that this album has been deleted, and is no longer available (new, that is). Scratch that – it appears it was reprinted and re-released in September 1999 through EMI. The 1999 version claims to be remastered, but it is unknown if it actually has been or not. Some background info on Tyr from Norse Mythology: The original Germanic god of war and the patron god of justice, the precursor of Odin. At the time of the Vikings, Tyr had to make way for Odin, who became the god of war himself. Tyr was by then regarded as Odin’s son (or possibly of the giant Hymir). He is the boldest of the gods, who inspires courage and heroism in battle. Tyr is represented as a man with one hand, because his right hand was bitten off by the gigantic wolf Fenrir (in old-Norse, the wrist was called ‘wolf-joint’). His attribute is a spear; the symbol of justice, as well as a weapon. At the day of Ragnarok(the end of the world), Tyr will kill the hound Garm, the guardian of the hell, but will die from the wounds inflicted by the animal. In later mythology, “Tyr” became to mean “god”. He is also known as Tîwaz, Tiw and Ziu. 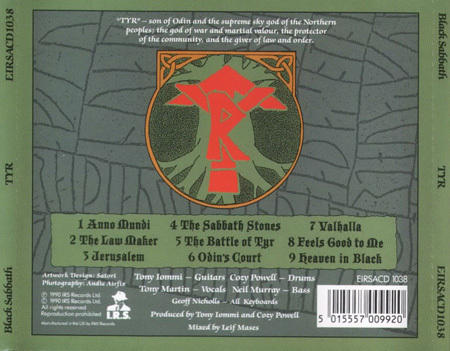 In Nov 99, I received an email from Martin Halfdan about the runes on the album cover. This is what he had to say: I also have some info for you that I cannot find anywhere. The runic inscriptions on the back of the cover as well as on the inner sheet of “Tyr” are taken from the famous Rök stone in Sweden. This stone is extremely well-known among runologists for these reasons: It contains the world’s longest runic inscription; it is bloody old; it is partly written in cipher; it tells stories otherwise forgotten since aeons. Well, maybe someone might be interested where the artwork comes from, for which reason you perhaps you think this fact should be included somewhere. 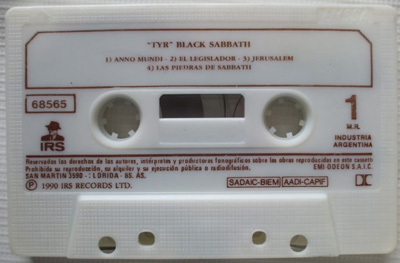 The following two images are from a cassette tape release of Tyr in Argentina in 1990. 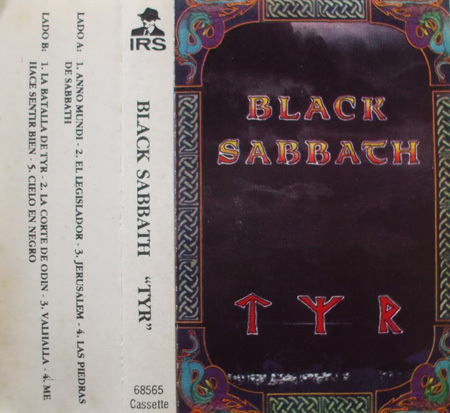 The following are from the US cassette release of Tyr in 1990. 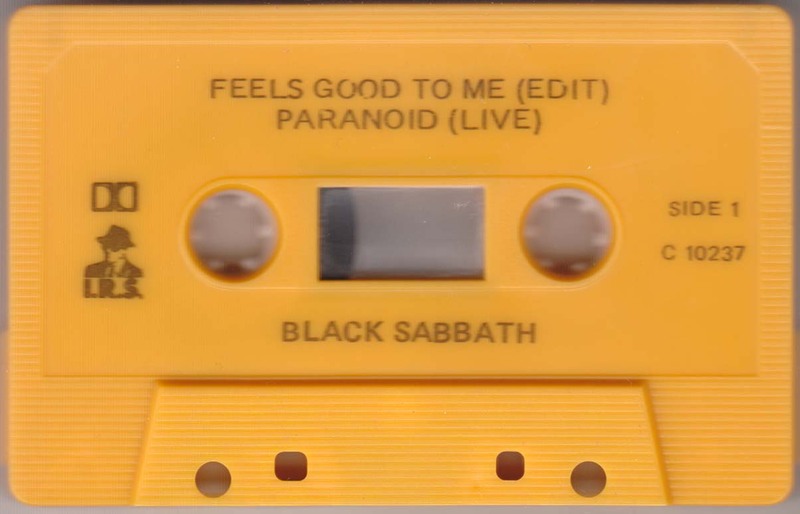 A few pictures from an Australian “cassingle” release of “Feels Good to Me”. 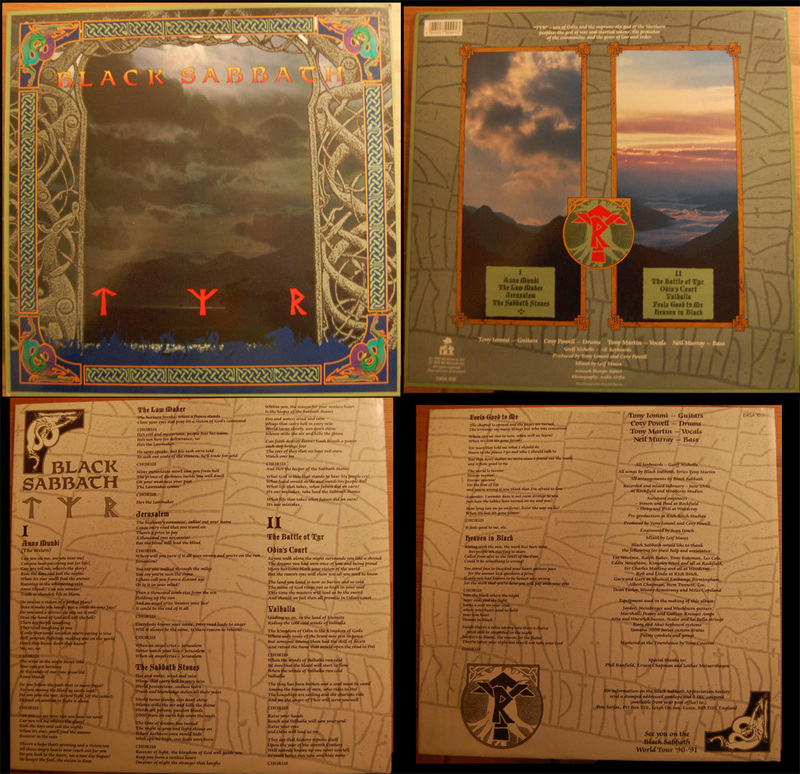 An image of the Tyr vinyl from England. This is the back of the CD jewel case. An image of a recording sheet for the song Valhalla from Rockfield Studios. Finally, the band promo shot that went with the album. Can you hear me crying out for life? Can you tell me, where’s the glory? Anno mundi? can you wonder! Do you see a vision of a perfect place? Does it make you laugh, put a smile on your face? Do you need a mirror, do you see it well? Does the hand of god still toll the bell? Don’t they know, Don’t they know? Do you follow the path that so many trend? Are you among the blind so easily lead? Do you join the war, do you fight for the cause? Can you see me now, can you hear me now? Can you tell me where’s the glory? Do you look to the dawn, see a new day begun? Will it always be the same, is there reason to return? What God is this that stands to hear his people cry? What hand would strike and watch his people die? What life that takes, what future did we earn? What life that takes what future did we earn? Where can we run to now, when will we learn? Just how the tables have turned on me and you? How long can we go on livin’, livin’ the way we do? It feels good to me…..
Could it be something is wrong? 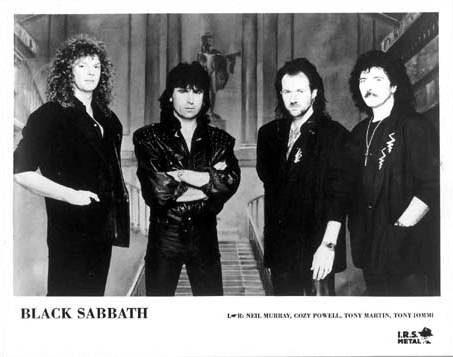 Hi, I’m a huge Black Sabbath Italian fan, who proudly played drums in several Sabbath tribute bands. TYR was the first Black Sabbath album I listened to – after it, I went back in history to know all of their work. Are you sure it was released on August 20th, 1990 in UK? 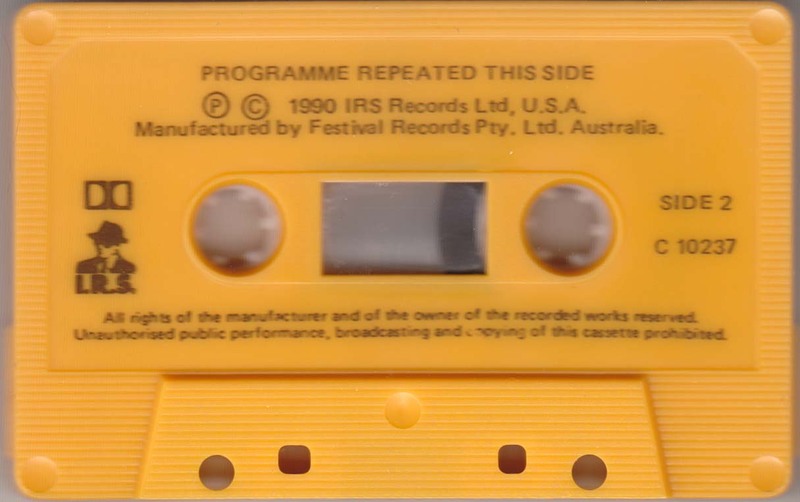 I remember very well my aunt gave it to me – actually, it was the cassette release – as a present on my 14th birthday, August 13th, 1990. Can it be possible that she bought it in a music shop in Italy before it was released in UK? Congratulations on your awesome website! I like TYR. It is one rockin’ album from start to finish. A comment regarding the runes on “Tyr”. The font on the cover actually doesn’t read TYR, it says TMR, since the middle rune is M (also the symbol for man). A proper Y rune would be an I with a dot on the middle of it. Also, it’s true what someone touched upon, that Tyr is ethymologicaly speaking the same word as Dio (God in Italian). The first one I really got into since born again. Some killer riffs. Some killer vocals. A killer album. I had the vinyl sleeve autographed by all the band members when I met them in Nottingham England on their promotion of the album on it’s release in the UK. 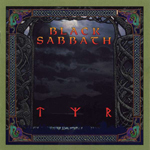 A wonderful album is TYR, the strongest album from the Tony Martin era of Sabbath & the best sounding album & the best lyrics also! Powerful but clean, strong & smooth sounding, unlike Headless Cross which was a very good album, but a little muddy production wise & far too loud in it’s overall sound! Eternal Idol is also a strong album song wise! An excellent trilogy indeed those 3 albums! Cross Purposes is good also, but there is something about the ‘trilogy’ that I mentioned! Hooray! I listened to this on Youtube all the way through a few weeks back after getting hooked on Anno Mundi, which was put on Cross Purposes Live and Ian Gillan/ Tony Iommi’s Who Cares double album comp. 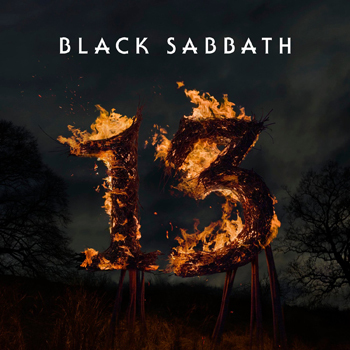 This IS NOT Sabbath in my books, but other then the name of the band being a tad inaccurate, THIS IS A SUPRISINGLY GREAT ALBUM FROM START TO FINISH! I can’t hear the bass for anything, but that’s the only thing wrong here. These riffs, the singing, the keyboards, the lyrics, the concert, Cozy’s drums, it’s all great stuff. 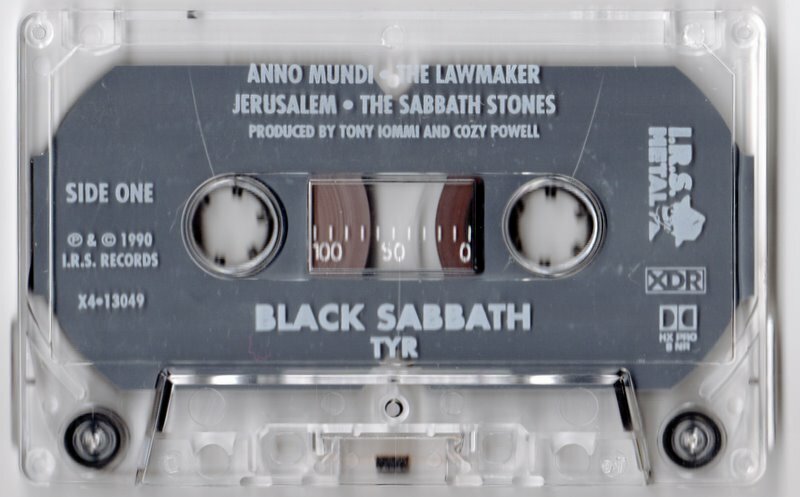 I prefer this over any of Sabbath’s other 90s records any day of the week because it’s just so consistent….. Anno Mundi is one of the greatest Iommi riffs known to exist. Amen. I like the Tony- Martin- era very much, but after all that enlightment about the cover artwork I´m really curious about the snake- symbol on the feels- good- to- me- single. A few days ago I was ferreting among my old memorablia and found a brockum poker necklace with this sign, it seems to be pretty rare, because I didn´t found anything about it on the internet. Especially about the two snakes or dragons. In which relationship do they or the sign stand to the Tyr- story? Greetings from Germany! 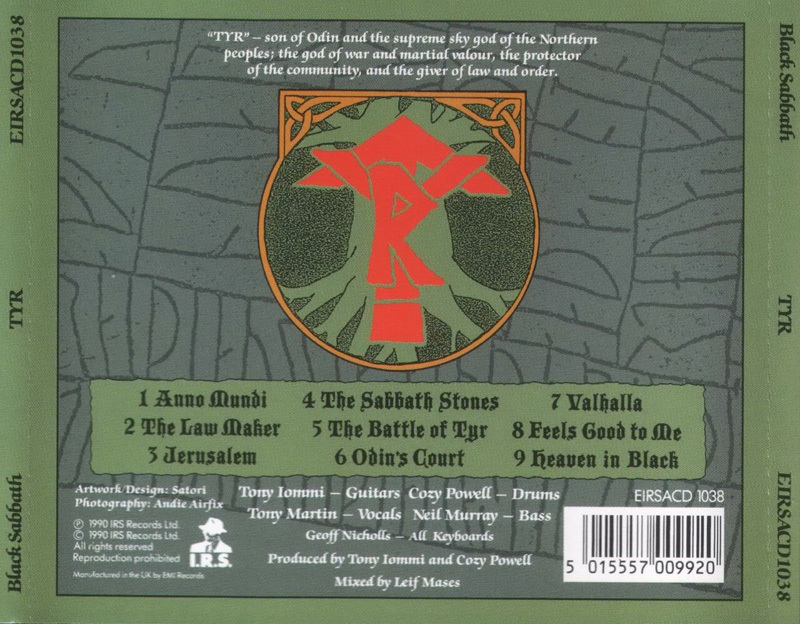 TYR is a really interesting album. It’s a very epic album with a quite gothic feel as well. Perhaps one of the better Tony Martin albums, especially conceptually. The artwork and inner sleeve are fantastic. I’m also very impressed with the lyrics Tony Martin wrote after the somewhat confusing and pandering Headless Cross ‘evil metal’ lyrics. Great band cynergy and some fine subject matter as well. The band was finally starting to gel as a unit after all of those lineup shifts the 8 years prior. Too bad it was dissolved by Dehumanizer, a record, while recorded better sonically, yet doesn’t hold up as a album like TYR with it’s linear vision and style. 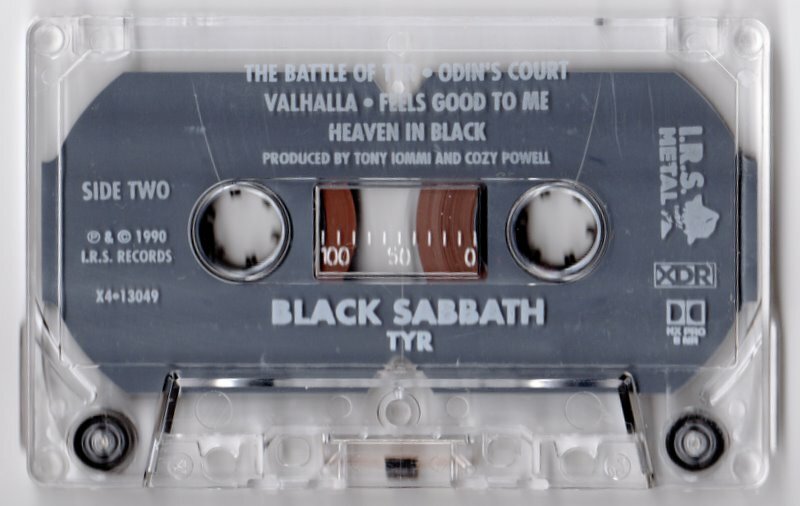 Best tracks are Anno Mundi and the trilogy Odin’s Court/Battle of Tyr/Valhalla; worst are the passable Heaven’s in Black and the silly Feels Good To Me. A great (and rare) album! 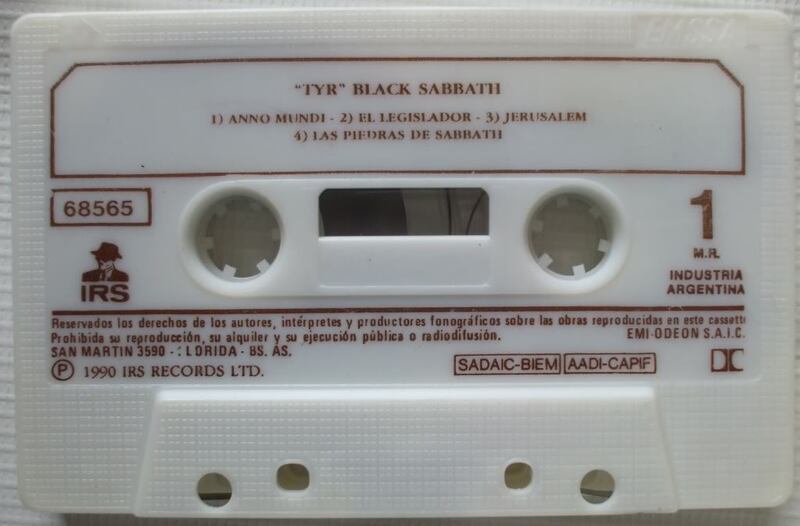 I first boght Tyr twenty years ago when I first started getting into all of Black Sabbath’s studio albums. 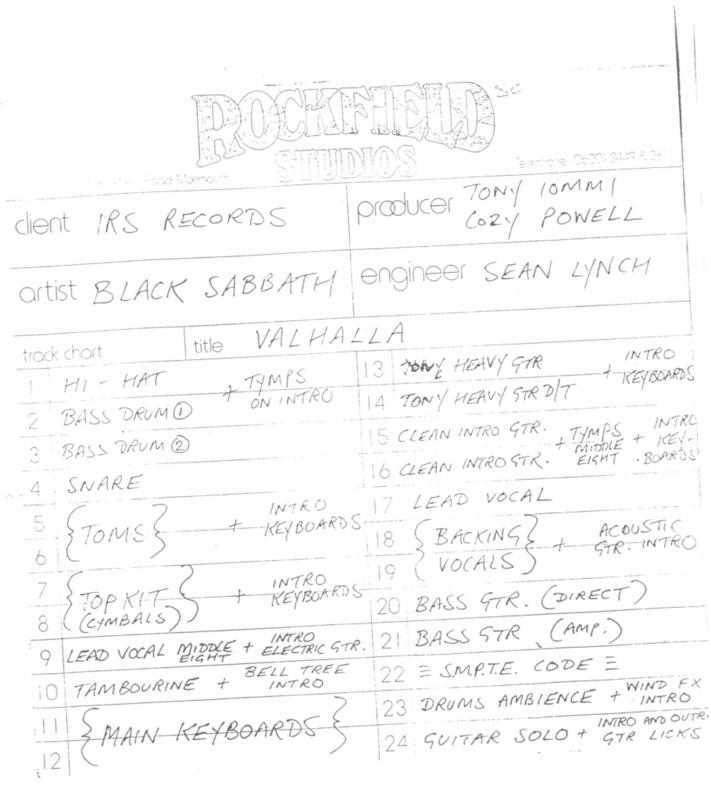 Headless Cross was my first one two years earlier but I got into most of the other Sabbath albums in 1995. 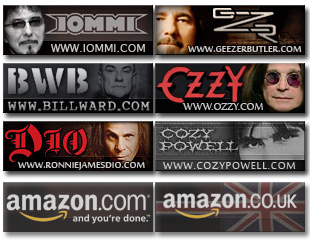 I was very impressed with Tony Iommi’s guitar work and Cozy Powell’s drumming. Listening to it twenty years later while living here in China brought back the same magic of the first time I heard it. Although I had listened to Tyr many times while living in China, nothing compared to hearing it to commemorate 20 years since the first time. Yes, I do like Feels Good To Me and my favorite songs are Heaven In Black, Anno Mundi, Lawmaker, Battle of Tyr/Odin’s Court/Valhalla, and Jerusalem. 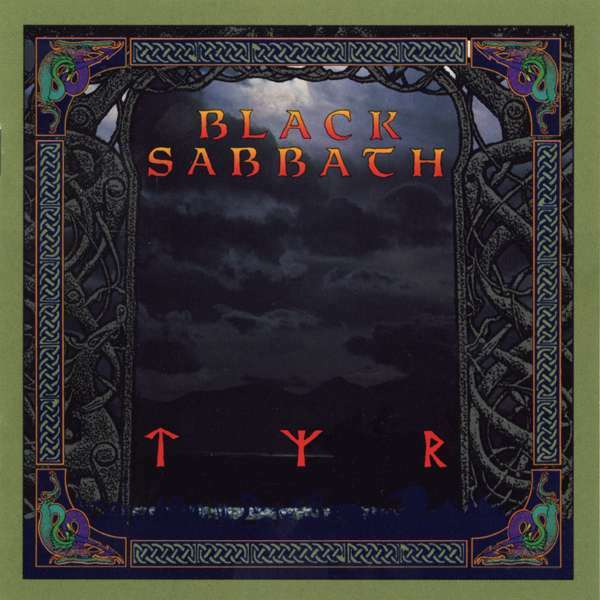 The Sabbath Stones is also a heavy and powerful song. that I’d have not normally purchased. A good article on a very good album. I did get into these albums back in the day, fantastic Sabbath. I still have the original cd’s. I don’t play them much these days, however as i know the songs so well in my memory, i can just pull them up at any time as I did with the ‘Nordic’ songs recently. A better sounding album than Headless Cross, smoother & not as harsh. But as you stated, Tyr isn’t as dark, so there is a difference in the sound. As Cozy had just joined & Martin was eager to go following the Eternal Idol album, HC has a brutal edge to it, heaps of adrenaline etc! Thanks for the link. A good album but its a little too polished for my liking. Bass guitar isn’t loud enough in the mix, and Cozys drums are far too loud. It has some stellar tracks though – Anno Mundi, The Sabbath Stones, Lawmaker…and I really enjoy Feels Good To Me (though it doesn’t quite sit right with the rest of the lp), great sing along chorus! I prefer CP and even Forbidden over Tyr though it doesn’t mean its a crap lp.